The radiation dose for kidney stone CT course is intended to help participant with the nuances of CT scan parameters, protocol building and radiation dose optimization especially for evaluation of renal colic. The course will specifically help in understanding different aspects of CT image quality pertinent to CT protocols for renal colic, scan parameters and their effects on CT radiation dose as well as the need for distinct and optimal CT protocols for renal colic evaluation. This is an on demand activity. Subject matter based MCQ of all aspects of radiation dose and protocol creation for kidney stone CT.
Additional associated PowerPoint presentation to summarize the topics covered in the course. The following content reviewer and/or their spouse have reported no relevant financial relationship. The work was supported by a research grant from the AHRQ (Grant# R18HS023778). This activity is intended for radiologists, emergency physicians, primary care providers, and urologists. Radiographers and medical physicists may also find this activity useful. 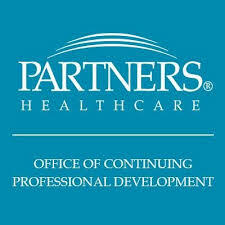 Partners HealthCare System designates this enduring material for a maximum of 4.75 AMA PRA Category 1 Credits™ . Physicians should claim only the credit commensurate with the extent of their participation in the activity. Free for Dose participants and their facility, $99.00 for outside participants.